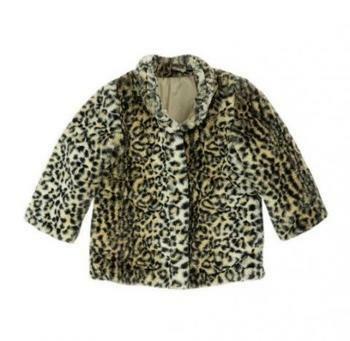 Amerex Group of New York, N.Y., is recalling about 1,550 infant cheetah fur jackets. The jackets snaps can detach, posing a choking hazard to young children. This recall involves a faux fur mid-weight jacket sold in infant sizes 12 to 24 months. The underside of the jackets label contains the printed style number C2185125-CT or C218525. Amerex Group is printed on a label underneath the washing instructions label. The jackets, manufactured in China, were sold at Carters, Century 21 Stores, TJ Maxx/Marshalls, stores nationwide and online at www.Zulily.com and www.carters.com from July 2018, through February 2019, for about $65. Consumers may contact Amerex Group at (800) 230-3418 from 8 a.m. to 5 p.m. (ET) Monday through Friday, by email at InfantJacketRecall@AmerexGroup.com, or online at www.amerexgroup.com and click on the Recall tab at the top of the page for more information.